Enjoy ironing without the hassle of a cord! Panasonic's Freestyle, cordless iron sits on a base unit which heats the iron in only 2-3 minutes. 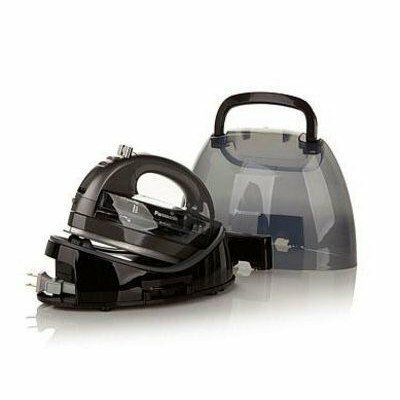 This small iron includes a variety of luxury features among which are a detachable, leak-free water tank, heating base with retractable cord, and three temperature settings. Convert the unit base into a portable carrying case by attaching the included cover. Easily carry this lightweight tool with you to sewing classes or quilting guilds. After 10 minutes of inactivity, the Freestyle iron will automatically shut itself off. The self-cleaning feature uses a jet-of-steam to clean the sole plate and remove stubborn wrinkles. The spray mist button directs moisture precisely where needed. Limited 1-year manufacturer's warranty.